Enda Kenny has denied he panicked and forced the resignation of the country's Garda chief over revelations of unlawful telephone recording systems at stations country-wide. In the wake of a State inquiry into the affair, Fianna Fail leader Micheal Martin accused the Taoiseach of having been "alarmist" in pushing out then-Garda chief Martin Callinan over the discovery of the decades-old secret taping system. The Fennelly commission's final report, published last week, showed the consequences of the recordings as predicted by Mr Kenny, on the advice of the Attorney General Maire Whelan, were "significantly overestimated", he said. "You said the entire criminal justice system could break down, convictions would be overturned, entire court proceedings would be rendered null and void," Mr Martin told the Taoiseach in the Dail. "But more serious than that, it is very clear that the alarmist and overactive response of the government forced the removal of a Garda commissioner on that specific issue." 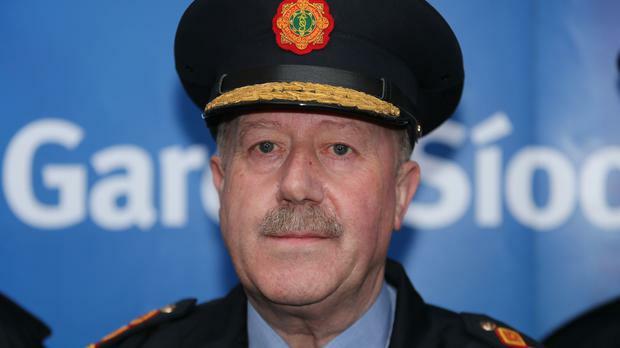 Garda Commissioner Martin Callinan unexpectedly resigned in March 2014, the morning after a top government official visited his house late at night to tell him the Cabinet may no longer have confidence in him over the phone-taping scandal. Mr Martin said the then Garda chief was "about the only person who acted appropriately" over the affair, having demanded it be halted as soon as he became aware it and notifying the Justice Minister. The Fianna Fail leader said the Attorney General then "bypassed" the then-Justice Minister and went straight to Mr Kenny to warn the "heavens were about to fall". "It reveals a bizarre dysfunctionality at the heart of a government," he said. Mr Martin pressed the Taoiseach to accept that sending a top government official to the Garda chief's home, effectively forcing his resignation, was the "wrong thing to do". But Mr Kenny said the remarks about Ms Whelan were "quite extraordinary" in "attacking an officer of the State" who was not in the Dail to defend herself. The Attorney General could not have known the extent of the issues at the time and acted "quite appropriately" in bringing them to his attention, he said. Mr Kenny said the interim findings of the Fennelly commission made it very clear he had no intention of forcing the resignation of Mr Callinan and that he had decided to retire. "This was not a case of overreaction and panic," he said. "It was a very important element of the security of the state and confidence in the gardai." The Fennelly Commission interim report in 2015 ruled Mr Kenny did not sack the Garda chief or intend to pressure him into quitting. But it also found his orders left no choice but for Mr Callinan to "walk off the pitch". Last week's final report found that the Garda is unlawfully in possession of countless recordings of telephone calls spanning decades, some of which contain sensitive details of people's private lives. The secret taping of non-emergency phone calls at 22 Garda stations country-wide violated the rights of citizens under the Constitution and the European Convention on Human Rights Act, it further concluded. But it concluded the debacle, blamed on a technical misunderstanding which led to the unwitting go-ahead for the system, did not involve a Garda system of snooping, spying or intrusion into private life and "certainly not of listening to solicitor/client calls".